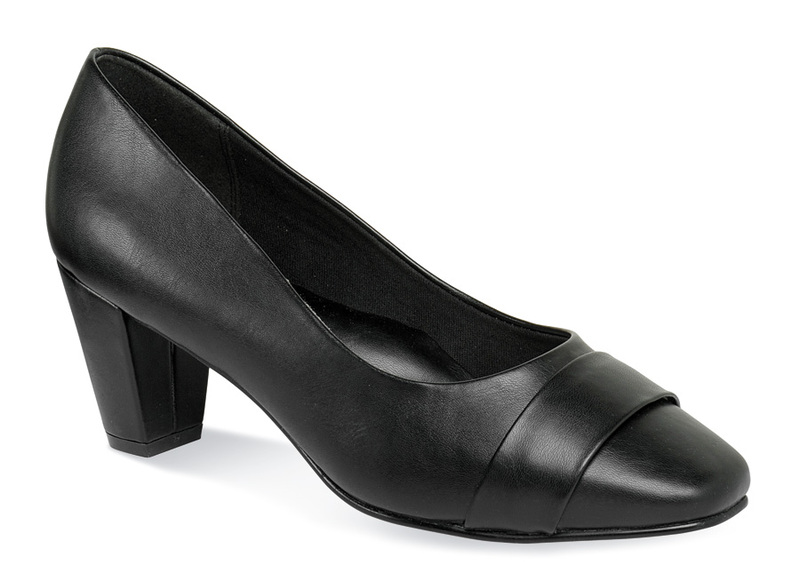 Dress up in comfort in Hush Puppies’ Soft Style “Mabry” closed-toe pump of black vitello with vamp overlay band. It is smoothly lined with cushioned fabric and padded underfoot with a soft Comfort Beauty sock lining with extra cushioning at ball, arch and heel. 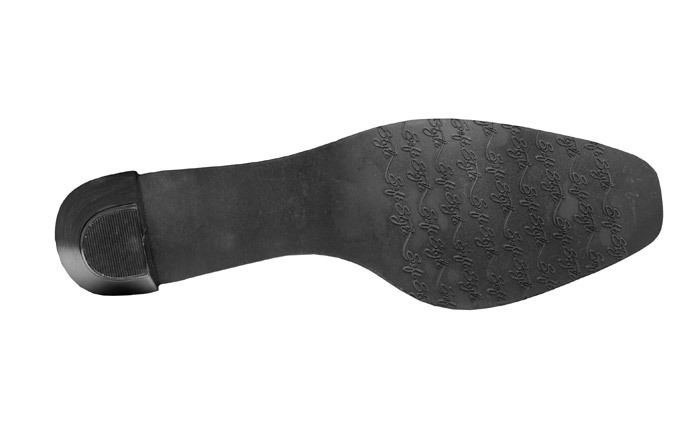 The TPR traction sole has a 2-inch wrapped heel. Women’s sizes 6–10, 11 in EW width. Limited sizes available.